Wheelchair Bodybuilding, Inc. (WCBB) was founded in May 2006 as a non-profit tax-exempted 501(c)(3) organization by Nick Scott dedicated to raising funds to expand and improve opportunities for wheelchair athletes and adaptive athletes. 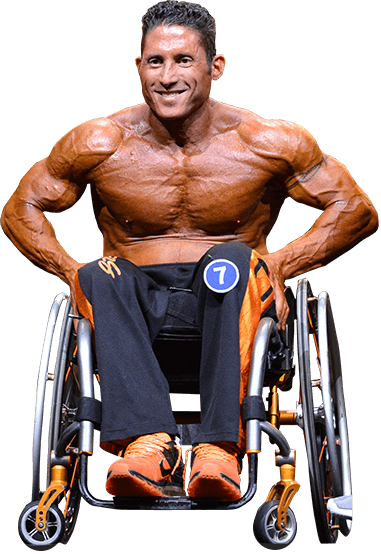 WCBB focuses on promoting, growing, and expanding the sport of wheelchair bodybuilding and adaptive bodybuilding through its association with the NPC (National Physique Committee) and IFBB Professional League (International Federation of Body Builders). LEARN MORE ABOUT OUR AMAZING ATHLETES THROUGH THEIR BIOS, PHOTOS, COMPETITION HISTORY, VIDEOS & MORE!